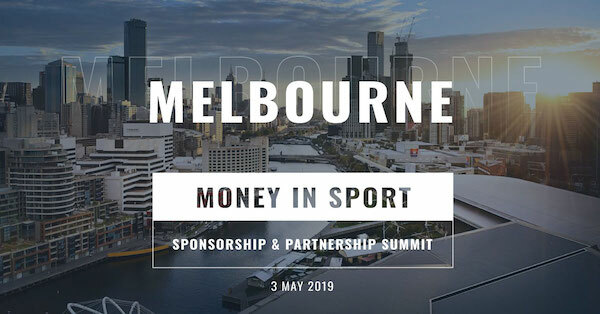 Hear from Cassandra Heilbronn, Keynote Speaker at the upcoming Sponsorship & Partnership Summit in Melbourne, Friday 3 May. Click here for full details. I will start by saying this – Commercial Managers need to understand the benefits a good contra deal can have for a Club, because if they continue to focus on cash only deals they are going to miss out. Here is why. Being in private practice and working in sports law means that I receive a number of requests for sponsorship for clubs and teams. I also get to see the other end with drafting and finalising the sponsorship agreements. What is surprising is the approach that Commercial Managers take towards a contra only deal – usually an immediate no. Who knows if it is a top-down direction or perhaps a bit of a cultural shift as the younger generation come through (ie not understanding the value of a contra deal), but a good contra deal could be worth more to the Club than a minimal cash sponsorship. Here is why. Not all sponsors want a front facing sponsorship, corporate hospitality packages, the logo on the shirt, game day signage etc. This may be because their client base and target market simply is not the same as what the Club is targeting. Rather, they may want to contra sponsor in order to build relationships with the Club, the Board, the other corporate sponsors or simply have a love for the team (yes that still happens!). These types of sponsors are worth their weight in gold, they are not tying up an asset (which means the Club can still sell it) and the Club is still getting a monetary benefit without the exchange of cash. What type of sponsors are they? They are the ones that can reduce your BAU spend – think about what is already allocated as a spend in the budget, if it is there, it may be easier to turn it into a contra deal - computers/IT, telecommunications, lawyers, and trades. Generally these sponsors are happy to work for contra – a set amount per financial year in return for hospitality. Many don't even want Chairman's Club or a box – just premium GA tickets. How does it work in practice? Well if we think about it practically, a Club's yearly spend on IT and comms (think all support, phones, internet, Fox Sports access) could be well over $50,000. A contra sponsor may look to offer a fees only deal for $30,000. They provide services up to that amount and in return receive hospitality etc. That reduces the Club's IT and comms spend and all of a sudden there is an extra $30,000 "spare cash" for the Club's bottom line, but as mentioned above, the Club still has the assets (corporate membership, apparel placement) to sell. Revolutionary right? Not really – but there are so many Clubs doing this really well and other Clubs failing to see the bigger picture because the Commercial team are only focusing on meeting their KPIs. Setting up a corporate sponsorship manager to handle the introductions between the sponsors – Board to Board level. While cash will always remain Queen, in order for a Club to stay at the top of the sponsorship game and attract ongoing partnerships they must revisit their way of thinking and perhaps go back to the future by having a portion of their sponsorship budget being contra. Think of what the Club could do with all that saved spending! !